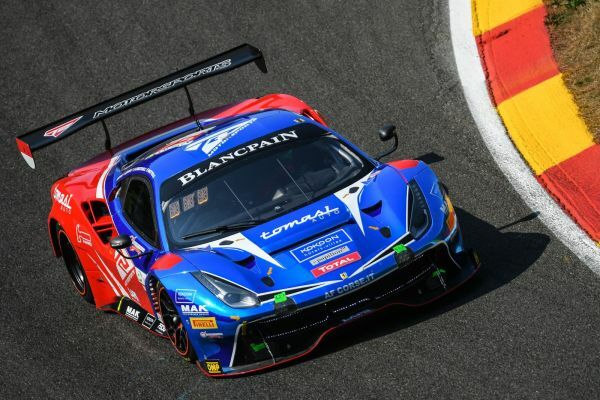 T2 Motorsports will make its Blancpain GT World Challenge Asia comeback this season after confirming a full-season campaign with its distinctive blue and red Ferrari 488 GT3. The Singaporean squad last competed in 2017 when David Tjiptobiantoro and Gregory Teo finished sixth in the Am Cup class standings. Both again feature this year as part of a Pro-Am line-up that sees ex Formula 1 driver Rio Haryanto contesting all six rounds. Tjiptobiantoro joins the Indonesian at Sepang, Buriram, Fuji and Yeongam while Teo will race at Suzuka and Shanghai. T2’s Ferrari joins Audi, BMW, Lamborghini, Mercedes-AMG and Porsche on the list of manufacturers confirmed for 2019. Further entries will be announced in the coming weeks ahead of the opening round in April. Blancpain GT World Challenge Asia stages its opening round at Sepang in Malaysia on April 6/7. Champion! Martin Kodric takes Blancpain GT Series Asia title after thrilling finale at Ningbo! Blancpain GT Series Asia: BMW Team Studie wins the GT4 Team title.